I'm doing a lot of thank you card these days, I'm sending so many! 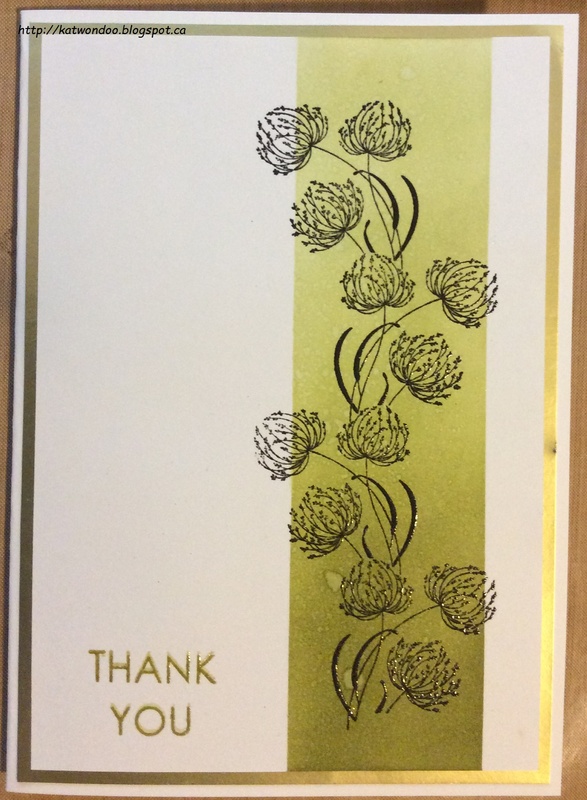 I made this card using green colors, water and clear embossing powder. I first made my background by sponging my two tones of green. Then, spritz some water and stamped the flowers and sentiment. I embossed with clear powder. hello! this is an awesome CAS card, luv your stamping! I am so glad you played along with us at simon says stamp Wednesday challenge!